The National Organization for the Reform of Marijuana Laws welcomes the opportunity to participate in the “Beyond 2008” NGO Regional Consultation of the Vienna NGO Committee on Narcotic Drugs in Vancouver, Canada Feb 4-5 2008. On behalf of the millions of cannabis users who are directly and adversely affected by the current UN conventions on drugs, we are particularly thankful to Open the Doors for inviting us to this consultation, from which our constituency has been excluded in the past. We appreciate the UN Economic and Social Council’s recognition that “enhancing dialogue and cooperation with civil society” is essential to effective policy. Recent experience makes it clear that the UN’s goal of “eliminating or substantially reducing” illicit cannabis supply and demand through criminal prohibition is unachievable. In 1998, the UN General Assembly Special Session (UNGASS) declared 2008 as the target date for “eliminating or reducing significantly” the illicit cultivation of cannabis, coca and opium, as well as the illicit manufacturing, marketing and trafficking of psychotropic substances. (SAMHSA). At last report (2006), that number had climbed 50% to 20.4 million. Over the same period, the number of cannabis users grew from 11 million to 14.8 million. The past decade has also seen cultivation of cannabis climb to record levels. In 1998, 2.5 million cannabis plants were reported eradicated by U.S. law enforcement; by 2005, the figure had grown to 4.2 million (DEA) In 2007, the number of cannabis plants eradicated just in California reached a new record high of 2,905,021, up from 135,960 in 1998(CAMP). The estimated US production of cannabis has increased consistently in recent years, reaching 22.3 million pounds (10 million kilos) with a value of $35.8 billion in 2006 (Gettman). This has occurred despite record levels of arrests and imprisonment. In 2006, the U.S. reported a record 829,627 cannabis arrests, up from 682,885 in 1998 (FBI) Over 44,000 prisoners were serving time for cannabis offenses as of 2004, up from 39,000 in 1997 (NORML). The experience of the past decade reiterates the chronic failure of nearly a century of anti-cannabis legislation, during which cannabis use has soared by orders of magnitude despite a policy of strict prohibition. In light of this history, NORML believes the only practicable way to realize the UN’s goal of eliminating the problems of illicit cannabis supply and demand is to eliminate its illicit status. Due to cannabis’ unique safety profile relative to other drugs, the benefits of such a policy can be expected to outweigh any potential costs of increased consumption. The scientific evidence has shown consistently that cannabis is remarkably non-toxic, has lower addiction potential than other, legal intoxicants, is not a “gateway” to hard drug abuse, and does not scientifically qualify as a “narcotic.” As noted by the California Research Advisory Panel, : “An objective consideration of marijuana shows that it is responsible for less damage to society and the individual than are alcohol and cigarettes.” In this light, the economic and social costs of criminally arresting and prosecuting otherwise inoffensive cannabis users outweigh any conceivable benefits. These costs include the harm to individual users and their families caused by criminal punishment, the economic cost to society of criminal arrest and prosecution for a victimless offense, and damage to fundamental principles of human rights ­ among them the rights to life, liberty and person, equal protection of the law, and freedom of thought endorsed in the UN Declaration of Rights. Greater benefits could be realized by a policy of complete legalization, in which distribution, sales and production of cannabis for adult use are legally regulated and taxed like alcohol. Such a policy would (1) eliminate crime and gangsterism associated with illicit cultivation and distribution; (2) reduce law enforcement, court and imprisonment costs; (3) eliminate environmental damage caused by illicit growers; (4) realize billions of dollars in tax revenues that could be used for drug abuse treatment, prevention and other services; (5) protect otherwise inoffensive users from the costs of criminal record; (6) encourage the substitution of cannabis for more harmful and addictive drugs such as opiates and alcohol, and (7) realize the full economic potential of the market for medical cannabis and industrial hemp. NORML’s mission is to advocate for the reform of the cannabis laws; in particular, the right of adults to obtain and use cannabis legally without criminal punishment. We view this as consistent with the UN’s mission of eliminating the problems of illicit supply and demand of cannabis, but by means of legal regulation instead of criminal prohibition. In particular, we support: (1) the elimination of criminal penalties for personal use of marijuana (consistent with the Single Convention, but not the 1988 Convention on Illicit Traffic in Narcotic Drugs and Psychoactive Substances); (2) legalization of medical cannabis and industrial hemp (feasible under current UN treaties), and (3) legalization of cannabis for general adult use through a taxed and regulated market by local option similar to alcohol (impossible under current treaties). 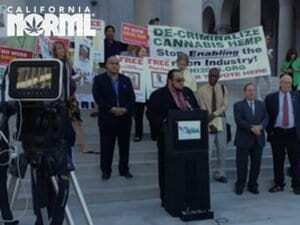 NORML also supports efforts to reduce the risks of cannabis use to consumers. In particular, we have sponsored research to develop smokeless vaporizers that eliminate harmful respiratory toxins from inhaled cannabis. Unfortunately, our latest vaporizer research efforts have been blocked by US regulatory agencies, who have denied applications by a duly licensed lab to obtain small samples of cannabis for research purposes (the National Institute on Drug Abuse, the only legally licensed domestic supplier of cannabis, refused to make its product available, while the DEA refused an import permit for research-grade cannabis from the Netherlands). 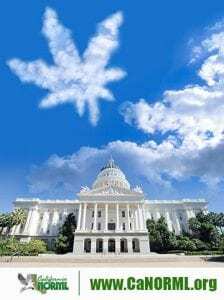 Although the U.S. federal government remains wedded to its existing failed policy on cannabis, a growing number of state and local governments have moved to reduce or eliminate penalties for cannabis use. Since 1998, the following local governments have passed legislation calling for decriminalization of adult cannabis use: the state of Nevada (2001), the county of Mendocino CA (2000), the cities of Seattle WA (2003), Columbia MO (2004), Denver CO (2005, 2007), Santa Barbara and Santa Monica, CA (2006), Eureka Springs AR (2006), Missoula MT (2006), and Hailey ID (2007), and over 30 legislative districts in Massachusetts (2000-2006). In addition, a number of communities have called for changing federal law to allow outright legalization, regulation and taxation of cannabis for all adults: Oakland CA (2004), San Francisco CA (2006), Santa Cruz CA (2006), Mendocino and Humboldt counties CA (2007), and the 1st Hampshire district in MA (2004). Although these policies have been adopted with popular support through the democratic process, their implementation is currently blocked by U.S. federal law in accordance with existing U.N. Treaties. 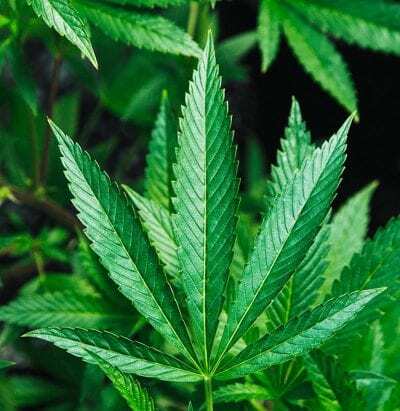 NORML accordingly urges that the UN Treaties be modified to strike cannabis from the list of illegal narcotics so as to permit its legal sale and production by local option, like alcohol and other legal drugs. NORML particularly urges the repeal of the provision in the 1988 UN Convention Against Illicit Traffic in Narcotic Drugs and Psychotropic Substances obliging signatories to criminalize the possession, purchase or cultivation of drugs for personal consumption. This provision is directly detrimental to the welfare of drug users and their families, contradicts the treaty’s own mandate to “respect fundamental human rights,” and undercuts the principle that drug dependence (where it exists) should be treated as a health problem. The past decade has seen dramatic gains in the acceptance of medical usage of cannabis. Since 1998, 11 U.S. states have followed the example of California (1996) by adopting laws that allow patients to possess and cultivate cannabis for personal medical use upon the recommendation of a physician (Oregon, Alaska, Washington, Hawaii, Nevada, Montana, Colorado, Maine, Vermont, Rhode Island, and New Mexico). Over 300,000 Americans are now using cannabis medically pursuant to these state laws, and surveys suggest an ultimate potential U.S. patient population of several millions. Contrary to predictions of opponents, the use of cannabis by youth in California has declined somewhat in the decade since the state legalized medical marijuana (Cal AG). Although the past decade has seen increasing scientific evidence for the medical efficacy of cannabis for HIV, multiple sclerosis, cancer treatment, chronic pain, and many other disorders, the federal government continues to treat cannabis as a Schedule 1 drug (i.e., with no accepted medical use) and has refused to accept its legality even for seriously ill patients who have no alternative source of relief for pain and suffering. 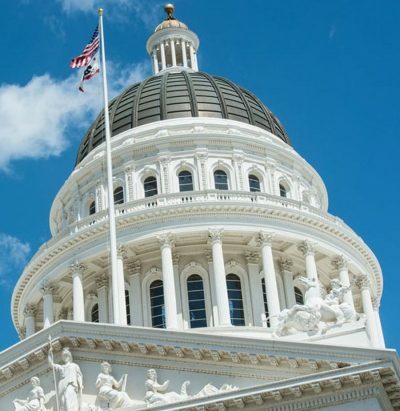 Despite federal law, California has made noteworthy progress towards establishing an effective, quasi-legal distribution system for medical cannabis in the past decade. There are now over 300 medical cannabis dispensaries, coops, patients groups and delivery services in California providing cannabis to patients with a physician’s recommendation. Despite the issues of federal illegality, a growing number of California communities have begun to license and regulate medical cannabis dispensaries. 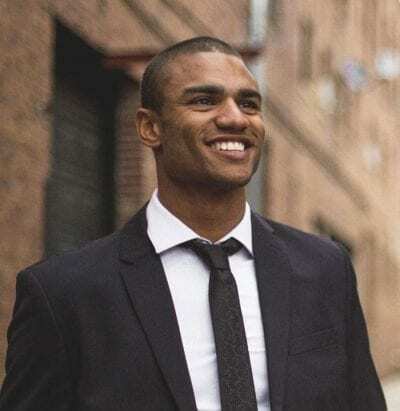 These dispensaries operate as legal businesses, paying rent, placing workers on payroll, offering them unemployment and health benefits, complying with regulations, and paying taxes and licensing fees to state and local governments. 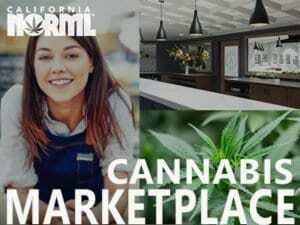 The total economic value of California’s market for medical cannabis is estimated at $870 million – $2 billion per year, with tax revenues potentially exceeding $100 million (Cal NORML). In spite of California’s legal acceptance of medical cannabis distributors, the US government has continued to treat them as criminal enterprises. Over the past decade, the federal government has conducted scores of raids, arrests, and prosecutions against medical cannabis suppliers. Despite these actions, the number of dispensaries has grown from a handful to hundreds since 1998. To justify its prohibition on medical cannabis, the federal government has maintained that there remains insufficient scientific evidence for its medical efficacy, and that it should first be approved by the U.S. Food and Drug Administration. At the same time, however, the government has obstructed medical cannabis research to this end. In particular, the DEA has blocked the path toward FDA approval by refusing to approve an application by the University of Massachusetts at Amherst to establish a licensed cannabis cultivation facility for medical cannabis R&D. In order to submit cannabis for FDA approval, it is necessary that there first be such a legally licensed producer to sponsor its development. At present, the only legally licensed producer in the U.S. is the government’s farm at the University of Mississippi, run under contract by the National Institute on Drug Abuse. NIDA has made it clear that it has no interest in submitting its product for FDA approval. Therefore, some other legal producer must be licensed in order to proceed with FDA development. By blocking licensing of the U. Mass facility, the U.S. government is effectively obstructing the development of cannabis for medical purposes. This violates the opening declaration of the Single Convention Treaty that ” the medical use of narcotic drugs continues to be indispensable for the relief of pain and suffering and that adequate provision must be made to ensure the availability of narcotic drugs for such purposes.” The DEA has defended its restrictions on medical cannabis licensing by arguing that private production is incompatible with Article 28 of the UN Single Convention Treaty, which requires that all medical cannabis production be under the control of a national agency (e.g. NIDA). Administrative law judge Mary Ellen Bittner rejected the DEA’s arguments in February, 2007, but the DEA has yet to decide whether it will accept her decision. It is noteworthy that California’s system for medical cannabis production and distribution is also at odds with Article 28. California’s current system is based on a competitive market of private distributors and producers. In contrast, the treaty mandates that all medical cannabis cultivation be under the control of the national agency, which is required to purchase and take physical possession of the entire crop. Such an arrangement is apt to be unwieldy and economically inefficient in the case of cannabis, since it inhibits price competition, introduces unnecessary bureaucracy, and discourages pharmaceutical diversity and innovation. This is an especially important consideration with respect to cannabis given that it contains scores of medically active ingredients, including cannabinoids, terpenoids, and flavonoids, which occur in different concentrations in different varieties. A monopolistic national agency is unlikely to be responsive to these differences. NORML therefore recommends that the Single Convention Treaty be amended to strike the Article 28 requirement that all medical cannabis be controlled, bought, and distributed through a national agency. Medical cannabis should be treated like industrial hemp, subject only to such regulations as individual nations care to impose. Removal of cannabis’ status as an illegal narcotic under the international treaties so it can be legally sold, taxed and regulated like alcohol and tobacco. Only if changes of this kind are adopted will the UN realize significant progress towards its goal of eliminating or significantly reducing the problems of illicit cannabis use. U.S. National Household Survey on Drug Abuse 1998 and 2006: Office of Applied Studies, Substance Abuse and Mental Health Statistics (SAMHSA), US Dept of Health and Human Services: www.oas.samhsa.gov/nhsda/98SummHtml/NHSDA98Summ-03.htm#P230_21832. California Department of Justice, Campaign Against Marijuana Planting reports, http://ag.ca.gov/bne/camp.php. Jon Gettman, “Marijuana Production in the United States (2006),” http://www.drugscience.org/Archive/bcr2/MJCropReport_2006.pdf. U.S. Federal Bureau of Investigation, Uniform Crime Reports: http://www.fbi.gov/ucr/cius2006/index.html. “Nearly One in Eight US Drug Prisoners Are Behind Bars for Pot,” NORML Release, October 12, 2006 based on statistics from US. Dept of Justice, Bureau of Justice Statistics, “Drug Use and Dependence, State and Federal Prisoners 2004,” http://www.norml.org/index.cfm?Group_ID=7071. California Research Advisory Panel, 20th Annual Report, 1989. California NORML release, “Cal NORML/MAPS Study Shows Vaporizer Can Drastically Reduce Toxins in Marijuana Smoke” (May 2003); /healthfacts/vaporizerstudy2.html. 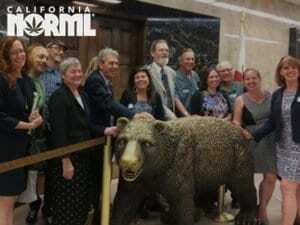 California NORML release, “NIDA Blocks Marijuana Vaporization Study,” (Aug 25, 2005) /news/NIDABlocksVaporization.htm. Biennial California Student Survey of Drug, Alcohol and Tobacco Use, California Attorney General’s office, http://www.safestate.org/index.cfm?navId=422; reported by California NORML at /prop/studentMJuse.html. Cal NORML testifies to state Board of Equalization on sales tax benefits of legal medical cannabis dispensaries.